Do I need to install MS Outlook to start the email recovery? 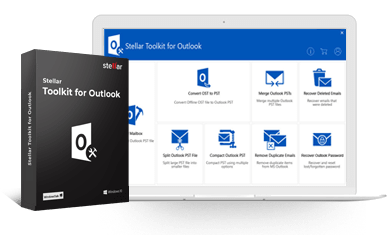 Answer: For the deleted email recovery process, you do not required the MS Outlook, however, if you want to access the content of the file after recovery process, then it is necessary MS Outlook must be installed in your PC. Can I search my OST and PST files? Can I recover my deleted items from PST files without changing any format? Answer: Yes, this tool recovers all deleted emails and also preserves the exact formatting of all the inside mails and folder structure of your OST or PST file. What extra features are added in Technical licensed version of the software? Answer: The technical licensed version includes all the features of SOHO version with an additional feature for corporate. It can be installed on multiple systems in single locations. Is there any risk of corruption during the all recovery process? Answer: This tool performs a reliable deleted mail recovery without causing any damage to the original email file. Do I need to install both the email clients to start the email recovery? Answer: For the deleted email recovery process, you do not required both the email client, however, if you want to view the content of the file after recovery process, then it is necessary that the relevant email client (Outlook for PST and OST) must be installed in your PC.